Plants make molecules that chemists could never imagine. Chemical poisons that deter herbivores are advantageous for organisms that can’t move. For humans, depending on the dosage, these molecules can be either poisonous or medicinal. The small shrub circled here is Pacific Yew. In 1962 it was discovered that its tissues, especially the bark, contain ‘taxol’ effective in treating cancer. It took many kg of bark (in 1993 34,000 kg were harvested in BC) for a single dose – and killing the tree. Now the drug is synthesized in a lab using precursors from the needles. The seed is surrounded by red, fleshy tissue called an ‘aril’, sometimes incorrectly called a ‘berry’. 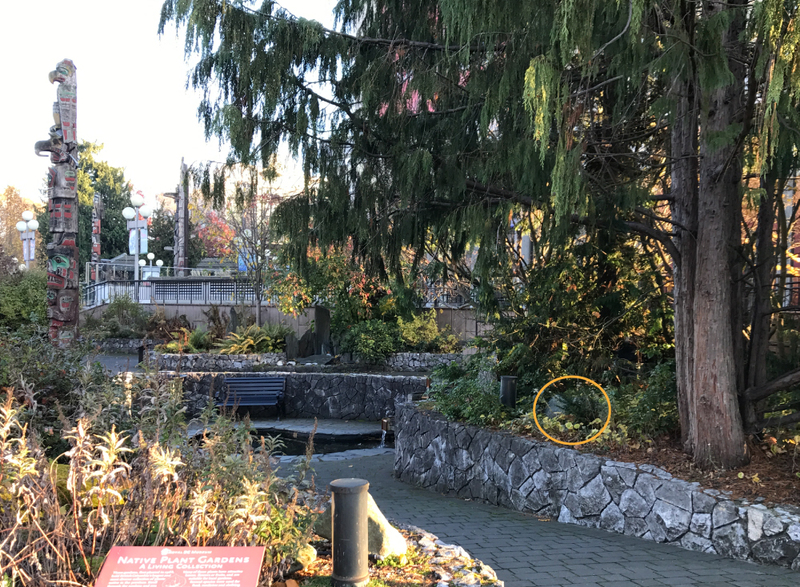 The small shrub circled here is Pacific Yew. 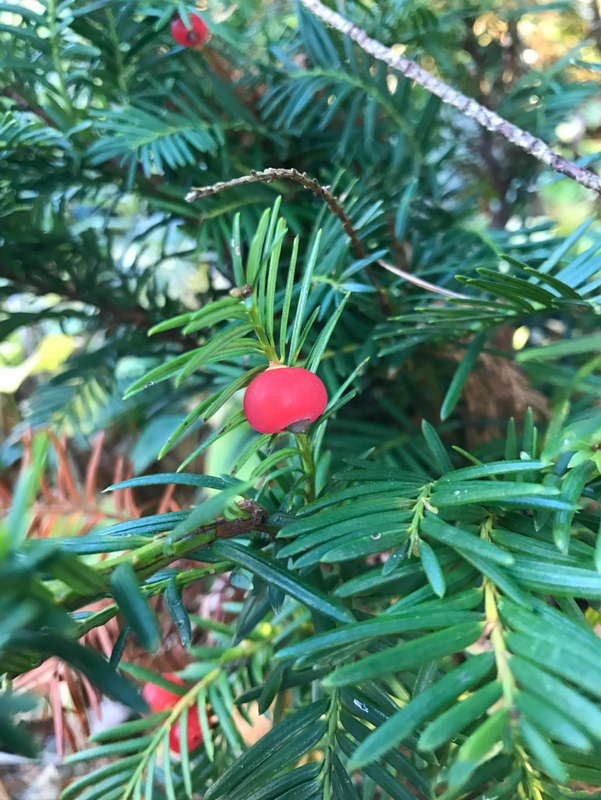 The seed is surrounded by red, fleshy tissue called an ‘aril’, sometimes incorrectly called a ‘berry’.